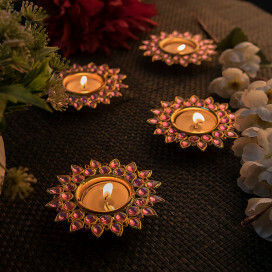 The symbolism of light is an intrinsic part of our cultural heritage. 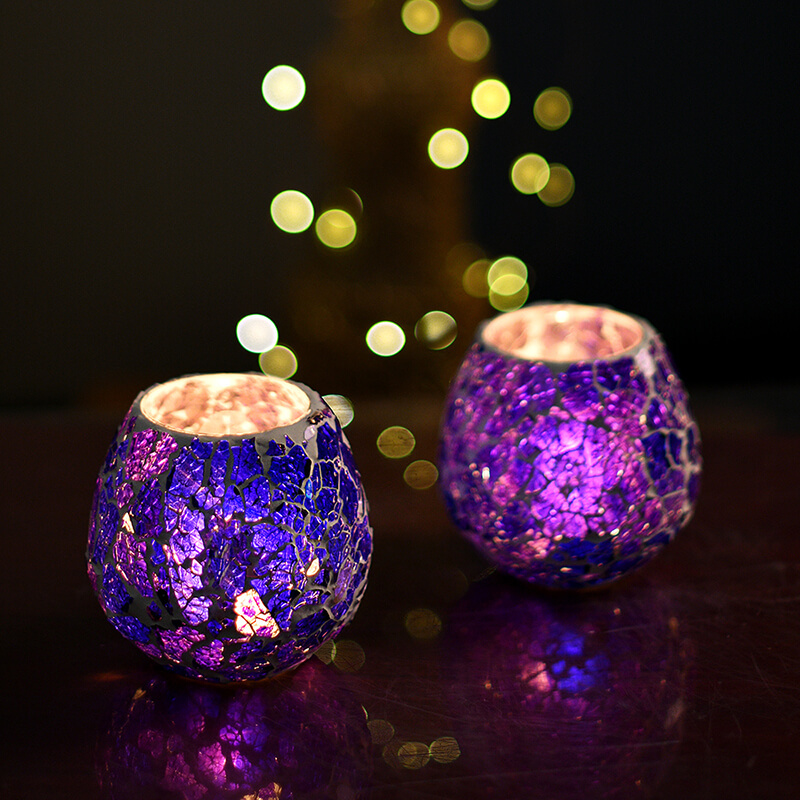 In today’s age, Candle lights have become part of home decor and are widely used to add the dimension of divinity to our homes. 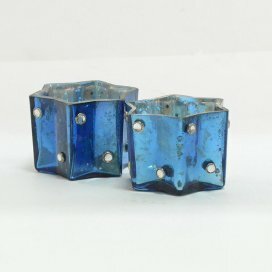 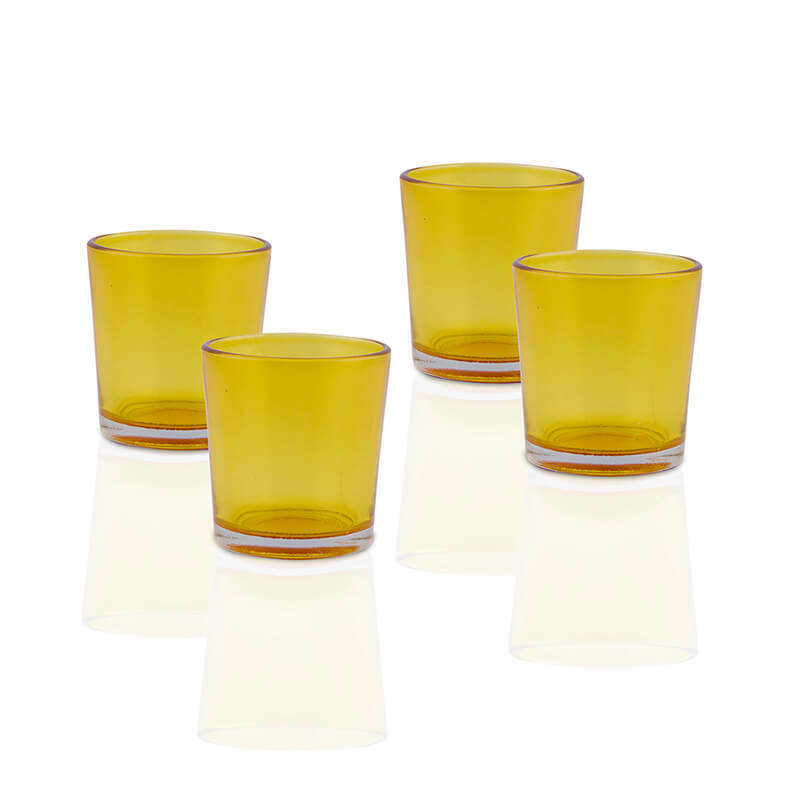 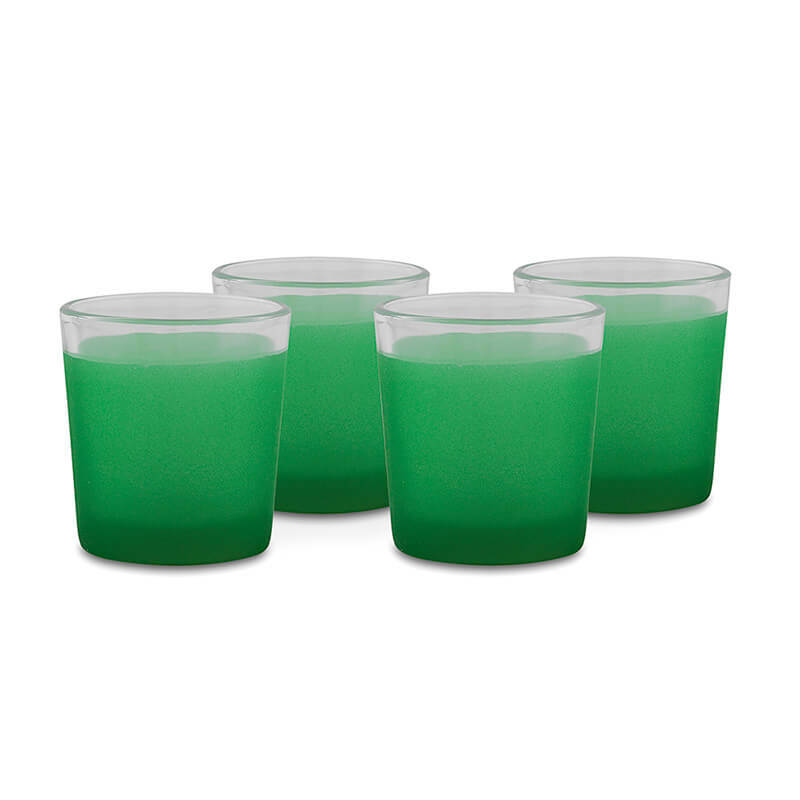 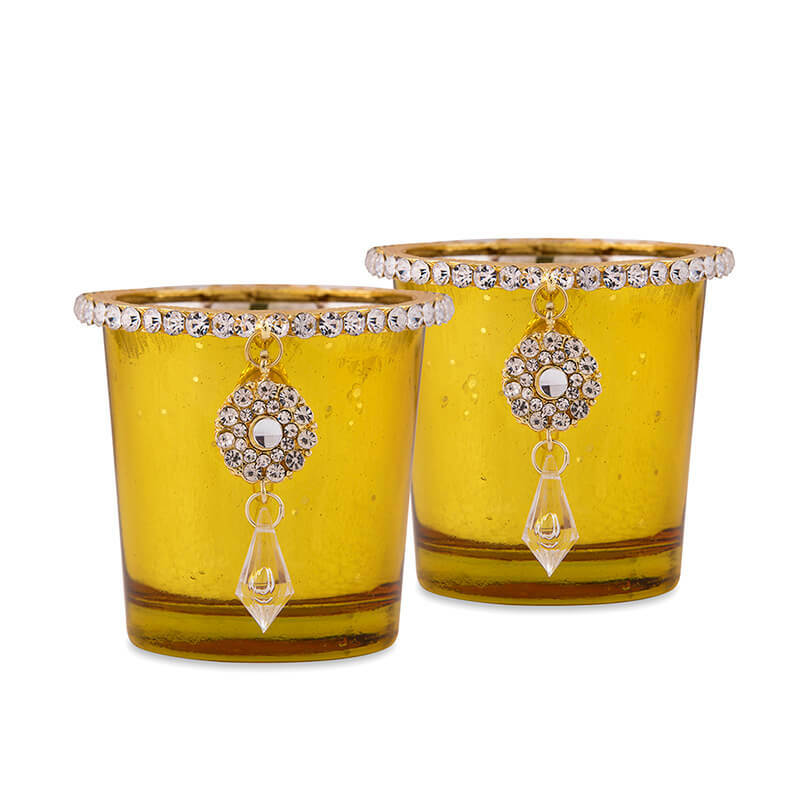 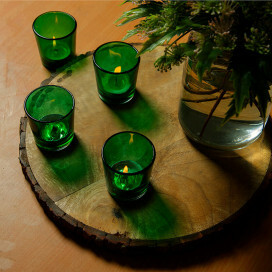 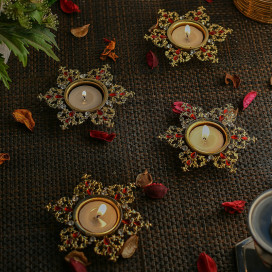 The motive for votives is to create a warm ambiance or to scent a room. 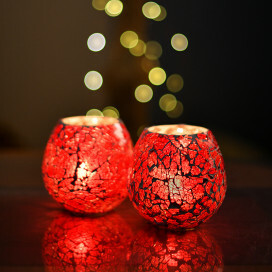 Candle Lights make ideal decorations for fine dining and bring the effect of the alter to our homes. 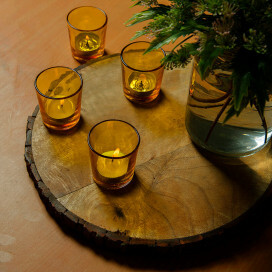 At Homesake, each piece has its own identity. 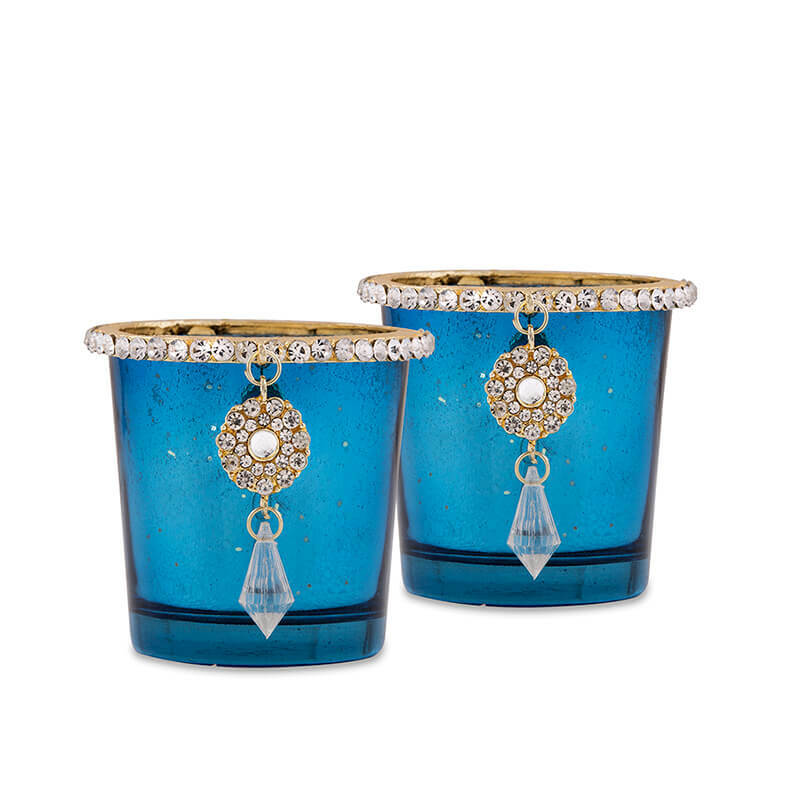 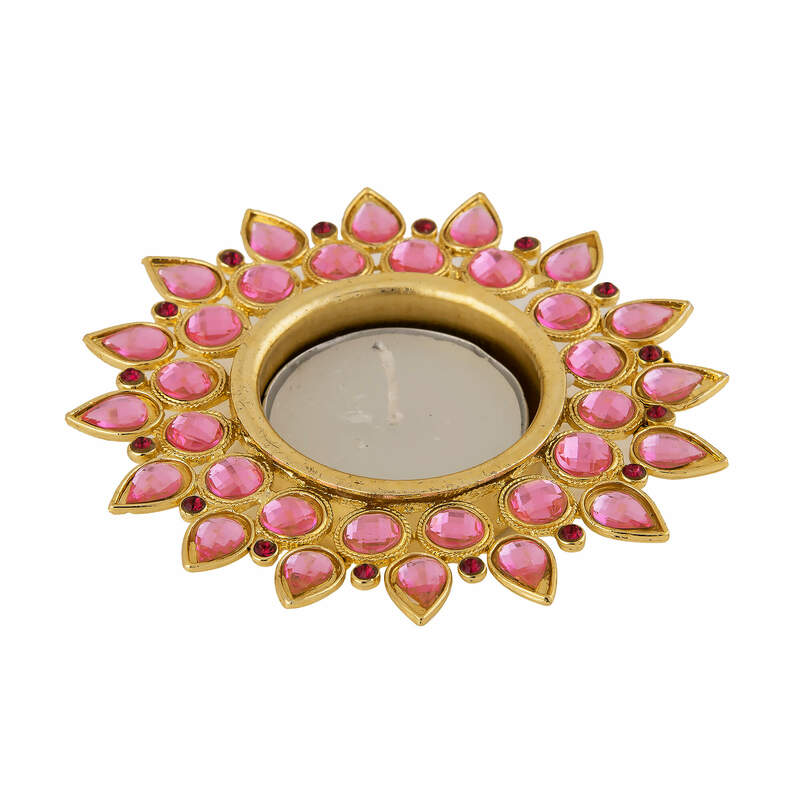 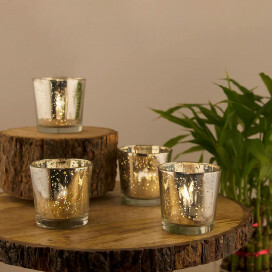 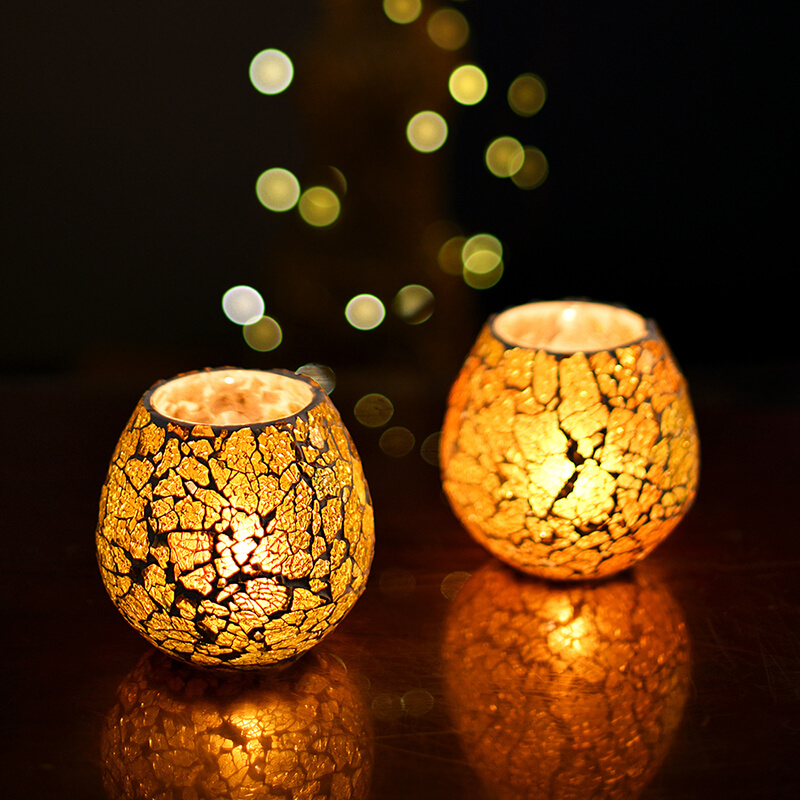 We have the most enchanting collection of Motive Candles & votive light holders. 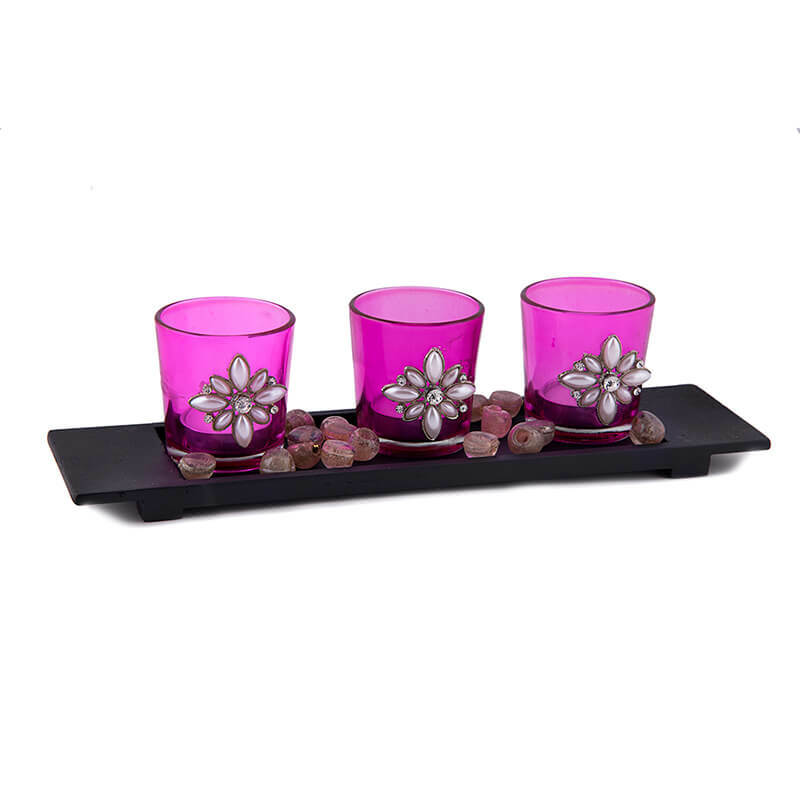 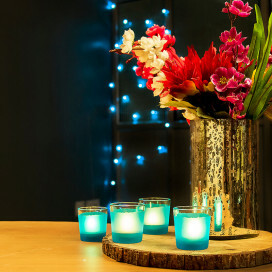 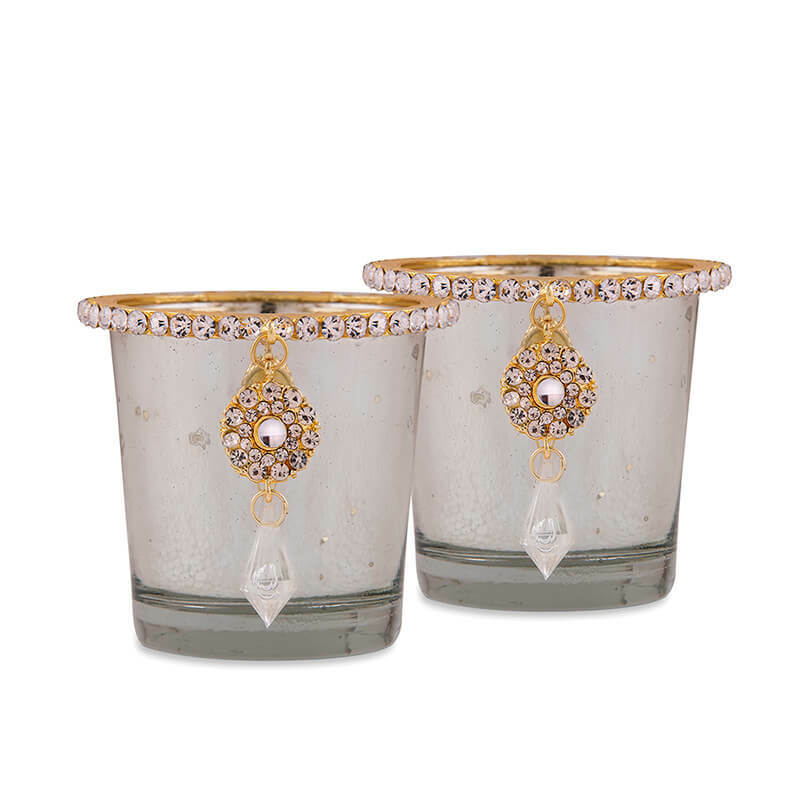 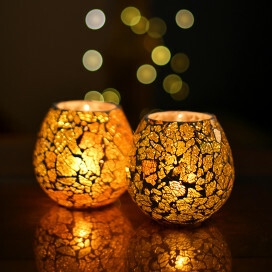 Glass Candle Lights work miracles on a table or arranged carelessly around the bath. 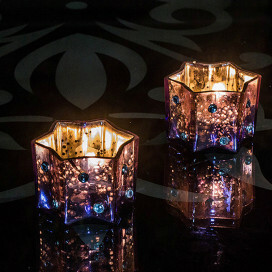 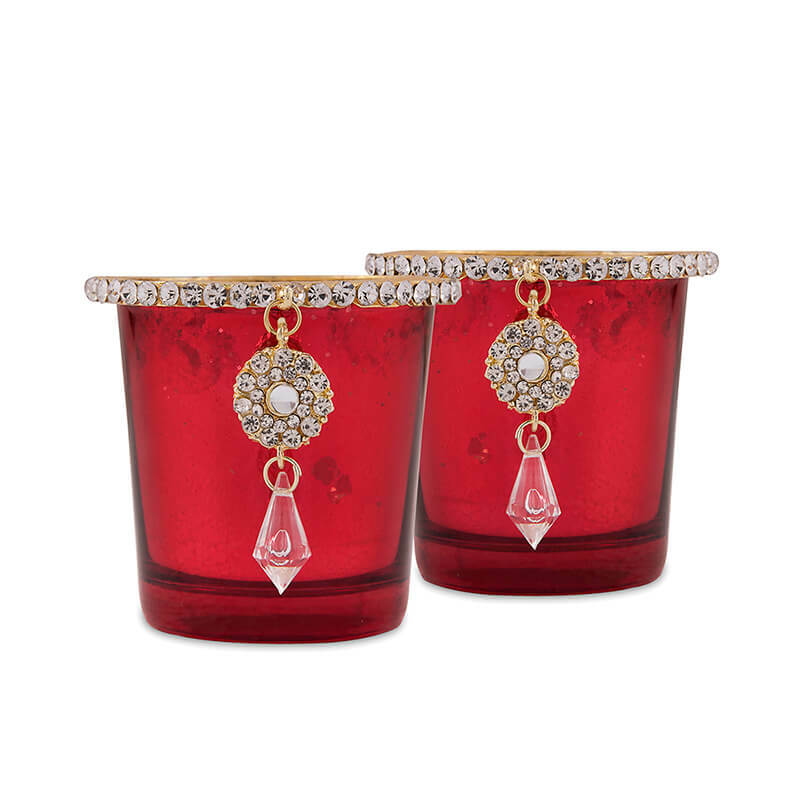 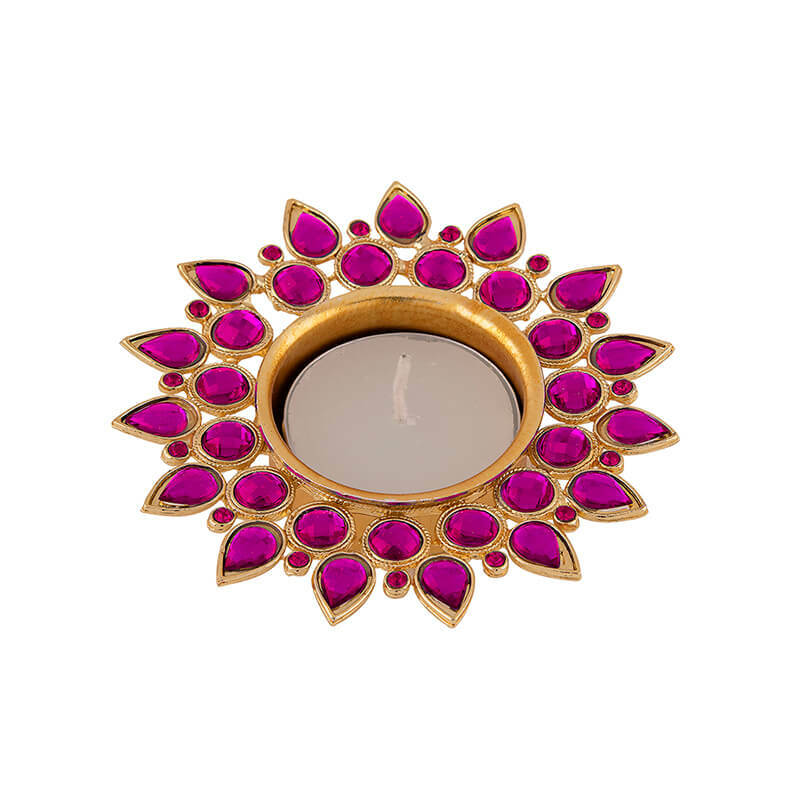 T lights capture the essence of romance and are reminiscent of a bygone age of gracious living. 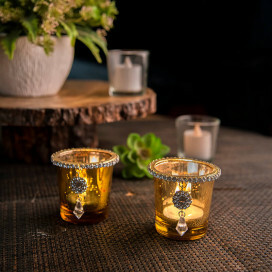 The Mosaic Votive has a distinct Middle Eastern grandeur. 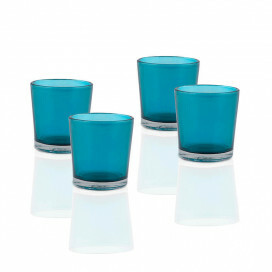 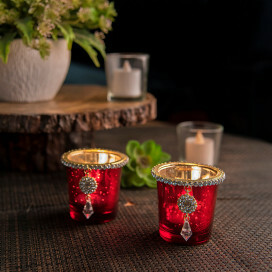 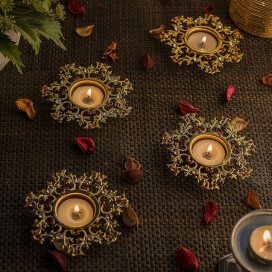 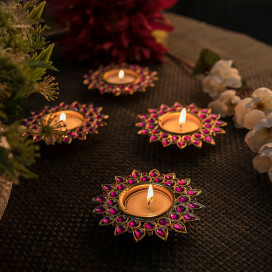 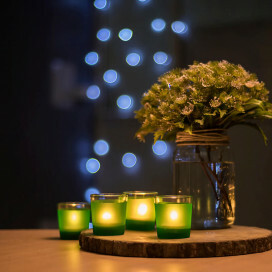 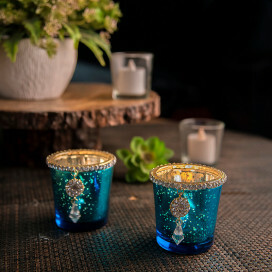 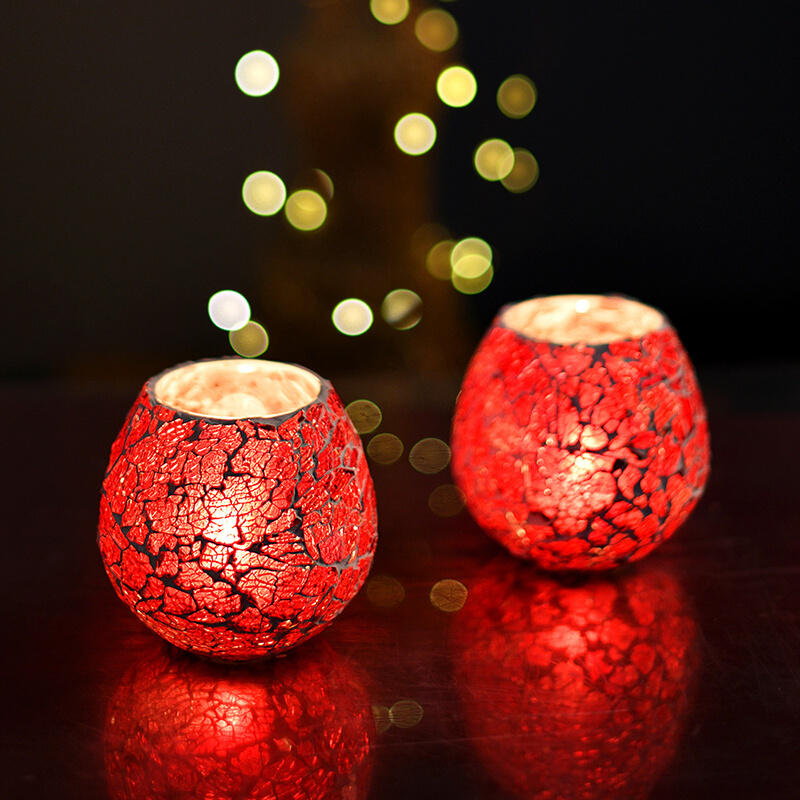 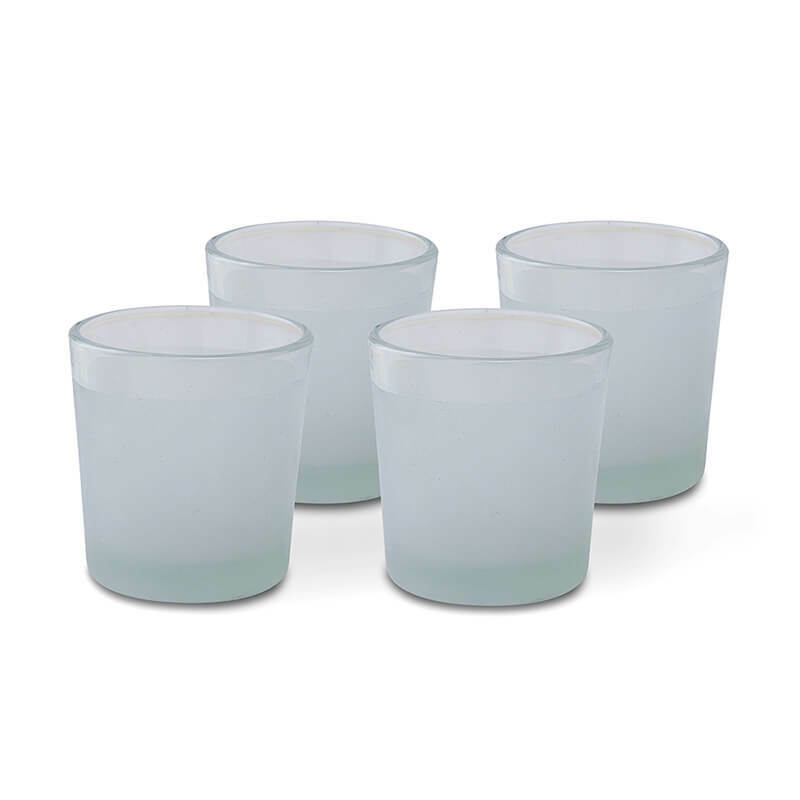 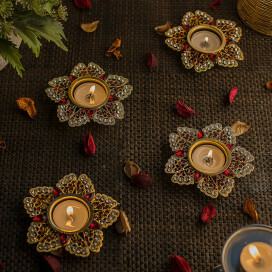 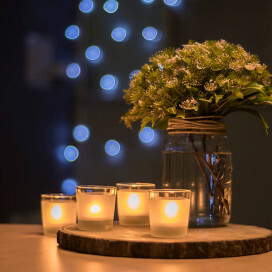 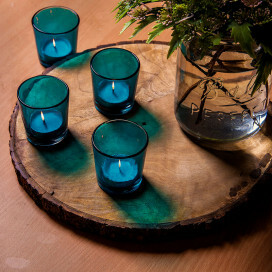 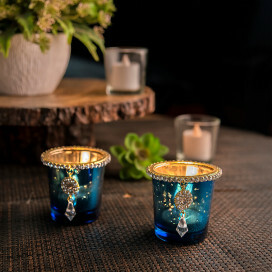 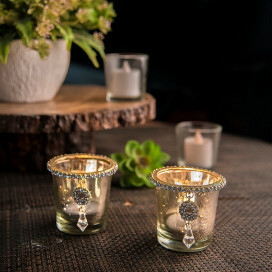 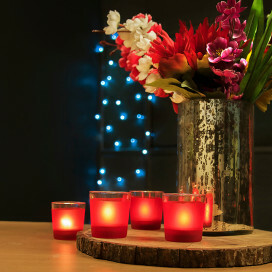 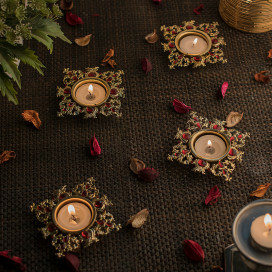 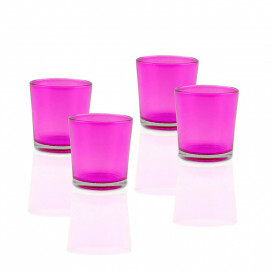 The Wire Tangle Small Votive is ideal for party evenings, candle light dinners or casual family evenings. 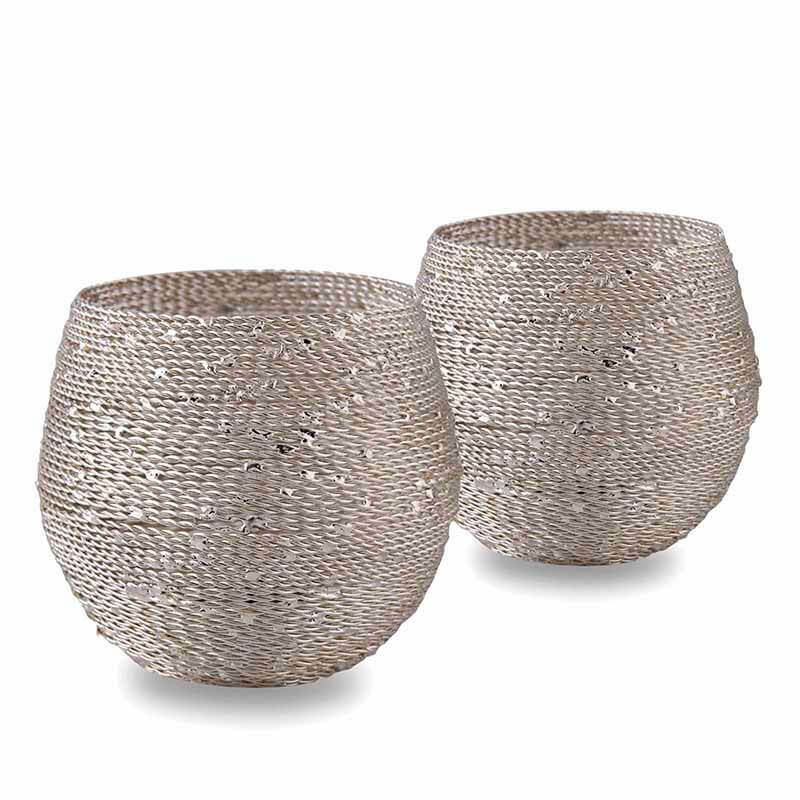 It has the allure of a tropical beach accent. 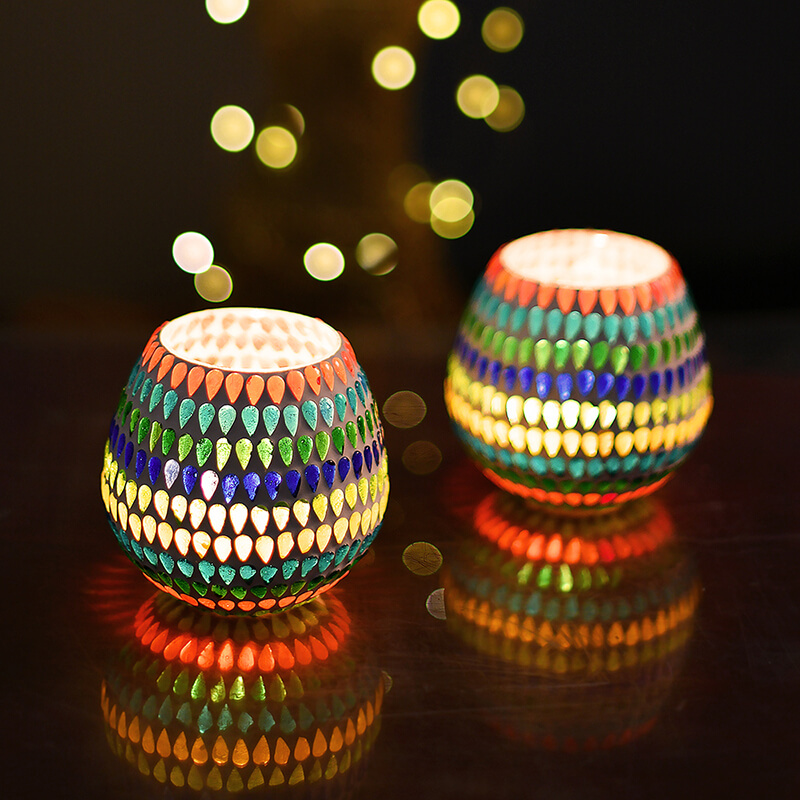 Decorate like never before with the Mosaic Melon Votive, Large. 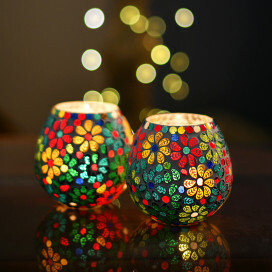 The interplay of colors give the light an enchanting rainbow effect. The Silver Star Glass Votive - Large echoes the stars of the firmament. 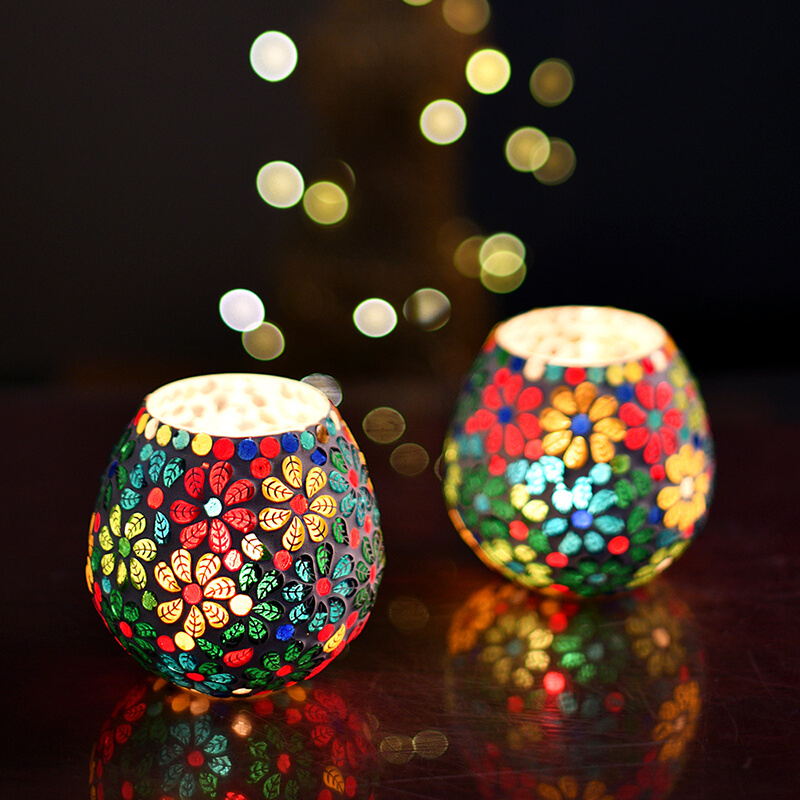 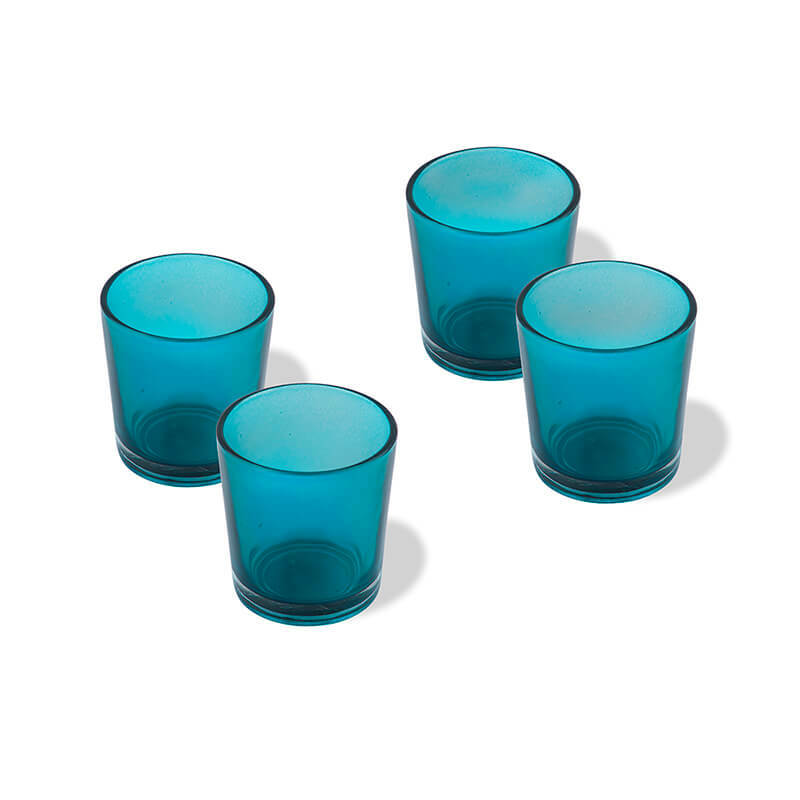 Capture the essence of light with these delightful accents and transform your decor.